There is no better time than now to map and build a tactical and strategic migration strategy to ensure that your healthcare organization has the correct technology in place, while still adhering to your migration project budget. Consider Summit’s EHR Migration services. Whether you are migrating to a completely new EHR platform, or migrating from an older version of your current one, Summit Healthcare can provide your team with all of the tools and services needed to ensure successful and efficient migration. Summit Healthcare employs a team of specialized experts who are passionate and knowledgeable in all platforms with over 1,000 customers and 17 years’ experience with different HIS’s. As your organization looks to achieve clinical transformation while maintaining deliverance of the highest quality patient care, evaluating your integration and automation strategies should be a top priority. We at Summit Healthcare understand this. We will help you transform problems into solutions as we guide you on the path to a new system, designed and implemented to improve patient safety, achieve end-user acceptance, and provide guaranteed cost savings along the way. How Summit Healthcare’s Migration Services can help. Partnering with an expert and trusted integration vendor to streamline complex interface landscapes, migrate data, and manage dictionaries in preparation for an EHR go-live campaign is a priority of many successful healthcare CIOs. Project management is key! Summit Healthcare leads the industry in expertise surrounding EHR migration, and we know just what needs to be accomplished in order to achieve successful solutions. A partnership with Summit will allow your organization to sit back and relax as the complicated migration is handled cleanly and clearly for your staff to see and learn. Clinical & Financial Data Conversions – Moving your data into your new systems can be a very daunting task. 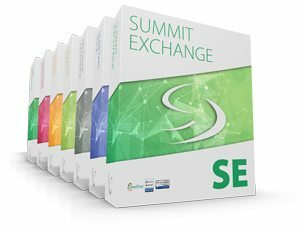 Summit Professional Services will provide data extraction, migration and archival options that supplement standard conversion options. Environment Management & Migration – Summit InSync Services will help to guide you through each step of data extraction, analysis and automation updates. By utilizing environment synchronization from the outset, you will feel confident that all of your data has migrated successfully, while also providing a long-term maintenance tool. Script Writing – Rewriting scripts into your new EHR is an important but time consuming aspect of your migration project. The Summit Scripting Toolkit has been developed with all platforms in mind. Summit Scripting Services can be utilized to review your overall scripting environment and rewrite your scripts so your resources can focus on other components of the migration project. Business Continuity Planning – Your team must make sure that critical patient data is available at all times as you migrate towards your new environment. Summit Downtime Reporting Services provides an enterprise-wide solution to help in the event of a system or network downtime. Summit Professional Services will provide data extraction, migration, and archival options that supplement standard conversion options.